If you're not familiar with Mr. Bacino, head on over to eMusic and sample his previous release, 2003's Million Dollar Milkshake, or his myspace page. Or better yet, grab several mp3s from that album and his first, Popjob, at his official site. * If like me, you loved Ryan Adams circa 2001's Gold but grew impatient with his subsequent genre exercises, grab a hold of the latest Griffin House disc, Homecoming. It's available at eMusic, and the highlights include "Burning Up The Night" and the Adamsesque-titled "The Guy That Says Goodbye to You Is Out of His Mind". Three tracks from it are also streaming at myspace. Meanwhile, nothing new to report on Stockton, the band formed by the other two former members of Mather, who gave us the brilliant track "Dreamworld" (still streaming at their myspace page). If you go to their myspace, it still states the debut album is to be released in "late 2006". Top 10 of 2007 (as of 2/27). I've discussed all but the Malin on the blog so far, but he's a relatively known quantity; suffice it to say it's the best of his three discs to date. WOW!!! Where did this guy come from? The scale and level of detail on this project rivals any of the sophisticated rock and pop albums of the past! But it's not just ambitious, it's also fun! These are pop songs in the highest sense of the word, catchy melodies, lots of vocal harmonies and many clever sonic touches! The critics are already gushing about this one! "A kaleidoscopic art pop concept album that harkens back to the days of Sgt. Pepper and its brethren, combining catchy melodies and innovative songcraft with sweeping arrangements and a gloriously eccentric imagination. Recorded alone in his Brooklyn apartment, this is a true original, and essential listening for fans of The Beatles, The Move, XTC, and The Fiery Furnaces!" I missed this one when it came out last summer, ironically around the same time another similarly themed disc came out. And although these guys hail from London, they also share this a straight-ahead, no-nonsense power pop sound with Edmund's Crown. The opening three tracks set the tone, with no letup from "Rum Runner", "Liverpool Sunset" and "Rubbing Alcohol", all of which will have your toes tapping and head bobbing in power pop bliss. And they can jangle with the best of them, so much so that they named one of the catchiest tracks on the album "Jangle #1". Quality stuff. "Time Warping" is a really great track, and "Sudden Crown Drop" ain't bad either. You can buy the disc from his label, 125 Records. And two additional tracks from Dynamico are streaming at his myspace page. Video of the Day: Bob Evans-"Friend"
If you really liked the video, you can watch a "making of" video for this one as well. Video of the Day: Derby-"Parade"
Been a while since I posted a video, so here's "Parade" from the Portland band Derby, whose This Is The New You was my favorite album of 2005. "Parade" might have been about the 6th or 7th best track on the disc, but it's an excellent tune nonetheless. Time today to feature three releases that you can stream (two in full) that'll be worth a Thursday afternoon (or evening, or Friday for you Aussies) listen. First off, Not Lame is at it again with their deluxe treatment of the new Bobby Sutliff disc, On a Ladder. By now, you know what this means: a full stream of the album, lots of bonus goodies, and a special pre-order deal. This one really looks like good value with the disc, and about 25 bonus downloads from Sutliff's back catalog, all for $12. If you're not familiar with Sutliff, Not Lame's descripton of his music as "12-string jangle pop heaven" should give you a good idea. Recently I gave David Bash's Top 100 of 2006 a once-over looking for releases I wasn't familiar with. One that I found that would have definitely made my top 100 list was his #20 disc, Picture In My Head by Household Names. Click this link to their official site, and the disc immediately starts streaming. Although the first two tracks were a bit "modern rock" for my taste, the pure power pop starts with track 3, "Almost Fab" and doesn't let up from there, with "Anytime Mrs. K" a particular standout. I hear echoes of Guster, The Gin Blossoms, Fountains of Wayne and The Posies in this one. Somehow this eluded the larger power pop community last year (not found on Not Lame, Kool Kat or CD Baby), so kudos to Mr. Bash for unearthing this hidden gem. Finally, we have a new download-only release from Adam Merrin. Adam who? Well, he's the guy who mans the keyboards for The 88, one of the top power pop groups around these days, and his solo stuff is outstanding as well. Have One is the name of his release, and it's apparently exclusively available from his myspace page as a Snocap download, $5.94 for 6 tracks. You can stream four of them there as well. Have One isn't too far afield from The 88; while the piano ballad "Still Alright" is what you might expect from a keyboard man's solo disc, the more rocking "Everything Has Changed" would have fit in well on Over & Over. The highlight here is "This Is How You Are", a gorgeous midtempo number that's equal parts Pernice Brothers and Autumn Defense. Don't waste any time getting this one on the mp3 player of your choice. There's also a CD Baby link to sample the online EP, but you can't buy it directly from there. Three discs have recently come to my attention on eMusic, all of which will be worth your while. The first is courtesy of an anonymous commenter to the recent Daniel Wylie post, who alerted me to the new disc from Michael Slawter, frontman of The Saving Graces. It's called An Assassination Of Someone You Knew, and if you liked any of The Saving Graces' previous releases, you'll love this one. But perhaps you're not familiar with the Graces, so here's an additional pedigree: the disc is co-produced by Jamie Hoover. This disc touches all the power pop bases, from jangling guitars, to great harmonies to catchy melodies. You can get the 30-second sample blitz at the eMusic link, and listen to four full streams at The Saving Graces' myspace page. I'm pretty sure this one will show up soon at Not Lame and Kool Kat, so those in need of the actual disc should be in good shape. Meanwhile, I've come across a couple of overlooked "oldies" that really deserve mention. First is the self-titled 2004 debut from St. Paul's Mandrew (short for Mike Andrew). If I could sum up Mandrew's sound in one word, it'd be "Lennonesque". Also I hear a lot of Jon Brion, Michael Penn and Plasticsoul as well. My favorite tracks here are the Beatle-y "Pick Up Your Floor" "Angry Mob" and "Rain or Shine Rain". Aside from the eMusic link, you can sample and buy the disc at the Baby, and listen to the whole thing via WeedShare (Warning: 44MB download link). And better yet, Mandrew has a brand new album about to be released, The Wonderful World of Mandrew. Catch four tracks from the new one at his myspace page. Finally, here's an excellent overlooked 2003 disc from the Aussie band Halfday, titled Now We're Happy. They're fairly comparable to countrymen like The Wellingtons, Ice Cream Hands and Murphy's Lore and have a real jaunty, breezy sound. Highlights include "Turn Me On", "You Make Me Want to Clean My Room", "My Life in a Jar" and "In The Meantime". Myspace 'em here. Not sure where to pick up the actual disc, but they're also available on iTunes and via Snocap from the myspace page. However you get it, just make sure you get it. Josh Fields back in stock! 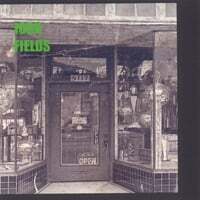 Well, apparently my glowing review of the new Josh Fields disc may have led to a sellout on CD Baby (must have been the siren). Anyway, for those who were looking for it, it's now back in stock. The more I listen to it, the more I'm convinced it's my #1 for 2007 to date (all 45 days of it), and that's #1 on the full disc list, not the EP list, even though it's seven tracks. New Daniel Wylie EP on eMusic! Regular readers of this blog may know that I'm a big fan of ex-Cosmic Rough Rider Daniel Wylie, and last year's The High Cost of Happiness was a favorite. Well, Wylie has returned today with Let's Go Surfing, a 5-track EP that is available via eMusic. The EP is more of the same, and that's a good thing. Speaking of which, all of Wylie's solo output is also available on eMusic - you can't go wrong with any of it. Absolute Powerpop is 1 today! Yes, hard as it to believe, this blog celebrates its first birthday today. It's been a fun year, and I'm glad to have had the opportunity to get the word out on hundreds of great power pop and related discs. The early days of the blog seem like eons ago, back when it seemed every third post was about Supraluxe, and "CD of the Day" actually meant a new CD every day, instead of every 2-4 days (hey, I had a backlog then). Anyway, thanks to everyone out there who's been reading, and I hope you all have been able to expand your power pop collection as a result. Back in March of last year, I waxed rhapsodic on a Finnish band called The Latebirds and their Radio Insomnia release. I guess it finally got a US release late last year, and now it's on eMusic. There are couple of mp3s at my original feature of it, but grab the rest of 'em from eMu. 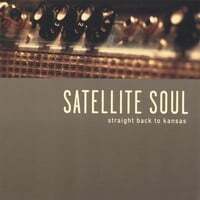 It seems like I've been on a roll lately with bands that aren't purely power pop, but have an alt-country/Americana/roots rock/heartland rock/whatever sound to them, and here's another one that's put out a damn listenable album: Satellite Soul with Straight Back to Kansas. Satellite Soul used to have a major label deal, and they were pretty much a straight-up CCM band. They're now independent, and they've gone in a more secular direction. Listening to new stuff in a random mix on my iPod, I always note those bands or artists who seem to make me perk up when one of their songs pops up, and Straight Back to Kansas has been passing the "perk test". The insistent rocker "Visceral", the second song on the disc, will get your attention with its rapid-fire hooks reminiscent of Cheap Trick; "Crazy" and "Indiana" are great mid-tempo numbers that recall The Jayhawks, Whiskeytown and early Wilco; "Good Ride Down" wouldn't have been out of place on a Gin Blossoms disc; "Bury Me" is a roots rocker in the Walter Clevenger vein; and the closer "Everything" is a true gem, marrying a great melody with horns and "ooh la la" backing vocals. Their official site has the album (or samples of it, I couldn't get it work just now) streaming, and there's the obligatory myspace page. The disc is available at CD Baby and at iTunes. The Ditchflowers on Not Lame. Well, long time Not Lamers will remember Barely Pink who released 4 mighty fine albums and an EP of classic Cheap Trick inspired power pop in the late 90's and early 00's. Brian Merrill, the leader of that band returns playing in The Ditchflowers along with one Ed Woltil, an unknown in the Not Lame world. Well, not anymore. Woltil is one serious, stunning songwriter, which all you have to do is play one minute of the songs here quickly to confirm. Barely Pink holds a special place in our hearts here at Absolute Powerpop, since they were a Tampa Bay-area band, and the region is where our global headquarters reside. In any event, I gave the album a quick listen this afternoon, and it sounds quite good. Hear it for yourself at this special page Not Lame created, with the full album streaming and plenty of bonus goodies if you take them up on their offer. Going to have make it a point to take an Absolute Powerpop field trip to see these guys. LA's Josh Fields (about whom little I could find online other than the fact he was a former guitarist for a band called I-94) has come out of nowhere with a pure power pop delight of a mini-album (7 tracks, a bit too big to be called an EP). On the CD Baby page for the disc, he describes it as "melody driven powerpop that lives somewhere between Jellyfish and Cheap Trick with smart lyrics and addictive hooks." It is somewhere in between - not as baroque as the 'fish, but not quite as crunchy as Cheap Trick. In fact, it reminds me of Fastball, specifically the Miles Zuniga songs ("Fire Escape", "Airstream"), as well as Semisonic and the other bands that spearheaded a late 90s pop/rock renaissance on contemporary hit radio before the boy bands and the divas took over for good. Anyway, the seven tracks here are better than most discs with 12 or more. "Clock Keeps Ticking" is the lid-lifter, and what a song it is, buoyed by a great chorus that won't leave your head and sounding like a lost Rembrandts classic. "Steal The Air" may be even better, with another killer chorus and a piano hook that surfaces from time to time not unlike Semisonic's "Closing Time". "Goodnight LA" is an exceptional power ballad that compares favorably to any that Cheap Trick have released; and "Photograph" is a midtempo marvel. Can't find a myspace, the artist site linked to at the CD Baby page says "coming soon", so you'll have to do your one-stop shopping at the Baby, where it's a bargain at $8. There isn't much question this'll be on a Best of 2007 list at year's end; the only question is whether it'll go on the main list or the EP list. After power pop, my favorite musical genre is alt-country, which has about as loose a definition as power pop can, at least as I interpret it. When these two genres intersect, it can result in some of what I think have been the best discs of the past 10 years; think The Jayhawks' Smile, The Old 97's Fight Songs, Wilco's Summerteeth, etc. 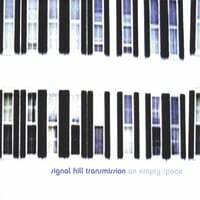 And while it may not be the near-perfection found on those discs, Signal Hill Transmission has made a similar breakthrough with their new disc, An Empty Space. This California band put out a fine alt-country disc in 2005 with Tomorrow, The Stars but An Empty Space is a sonic leap forward into a more pop-oriented sound, merging the best of alt-country and power pop. While opener "Pipe Dream" might have fit on their first album, with its languid beauty, "Alright" announces that a new SHT has arrived with its rocking guitars and 70s-style swagger. Things don't let up with "Polyvinyl Acetate", another rocker, while "Cherry Is a Girl" is true straight-up power pop a la Velvet Crush or Fountains of Wayne. Their alt-country roots resurface with the title track, which reminds me a bit of "I've Just Seen a Face". Other highlights include "Salt In The Store", a Superdrag-style rocker, "On and Off", which sounds like one of Dave Grohl's midtempo numbers, and the anthemic closer "Ordinary". Another definite Best of 2007 contender. (Although the new one isn't yet available on eMusic, you can pick up Tomorrow The Stars there).